Just stopping by to drop off my favorite page from this morning scrap session. I'm off to the gym as I started my new year's work out plan Monday so even though it's "holiday" I want to be sure I get some time in .... I hope to be back with more pages to share today. 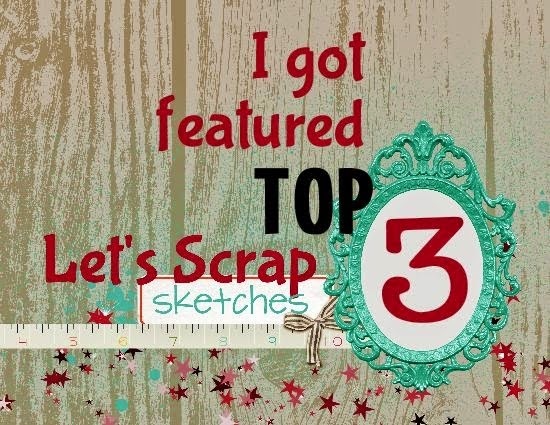 This great inspiration from My Scraps & More Sketch Challenge #96. This is also for Scrap It With a Song December Challenge - Destiny's Child Winter Paradise "This is how I feel, about Christmas........ It's the smell of pine, it's the Christmas lights." Welcome SOTM Hoppers! I can't believe we're headed for January already ... wow! If you are hopping along with us, you just came from Jen's Great Blog. 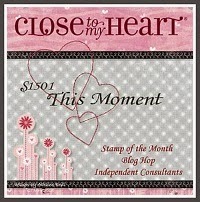 As you see, we're celebrating "This Moment", the CTMH Stamp of the Month. What a fun stamp set! I'm sure you're going to find lots of fun projects to use this set for. I am not quite in the Valentines "Mood" yet, so this card was somewhat of a struggle for me to finish. 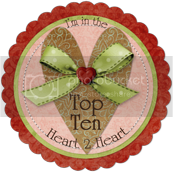 I'm sure I'll come up with more fun stuff as the holiday gets near as I love hearts. 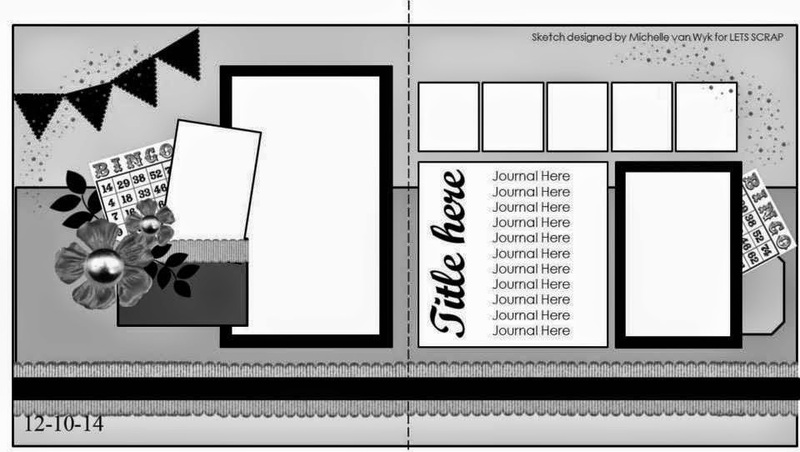 The sketch is from Freshly Made Sketches #167. Thanks for stopping by, your next stop is Carol's Blog. Have fun! Tonight I had more time for scrappin', I actually have stamped or scrapped every day since last Friday when my DS went back to college. That's what is SO wonderful about time off work. Of course, my day job pays for my hobby so ... LOL. (Circle of Life). 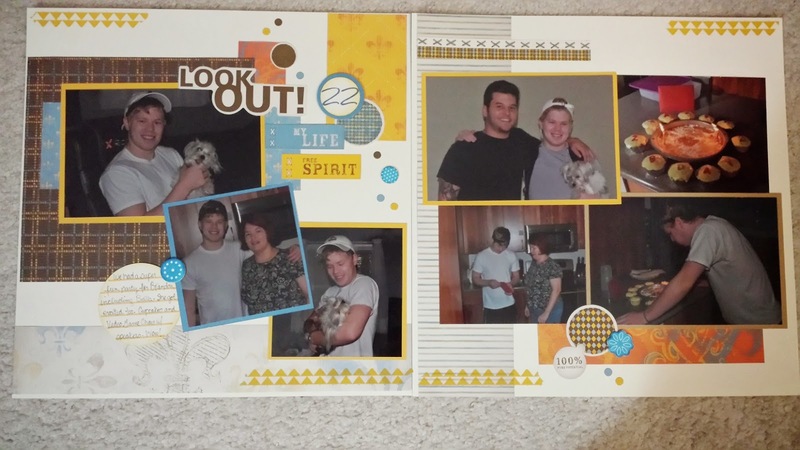 This fun page I had to run and get pictures printed this afternoon (another advantage) so I could scrap these using the inspiration from the Let's Scrap Sketch 122414. I have a few more pages to share so I'll be back for more! Hello Monday! The countdown is on for the New Year. Woohoo! 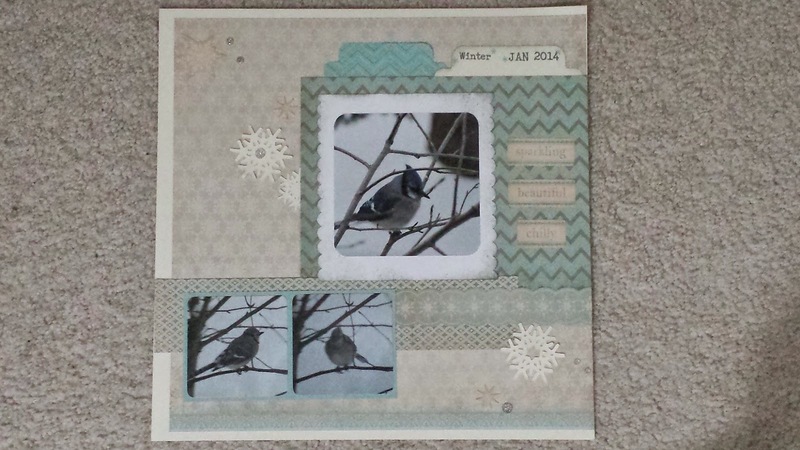 I'm loving the time to play with my paper and stamps this month. That will probably be more difficult in January as I have lots of travel but it sure was fun in December. This card is inspired by Sketch Saturday #341. I love the new Snowhaven papers so I'm sure you'll see a lot more cards with this during this winter card making season. 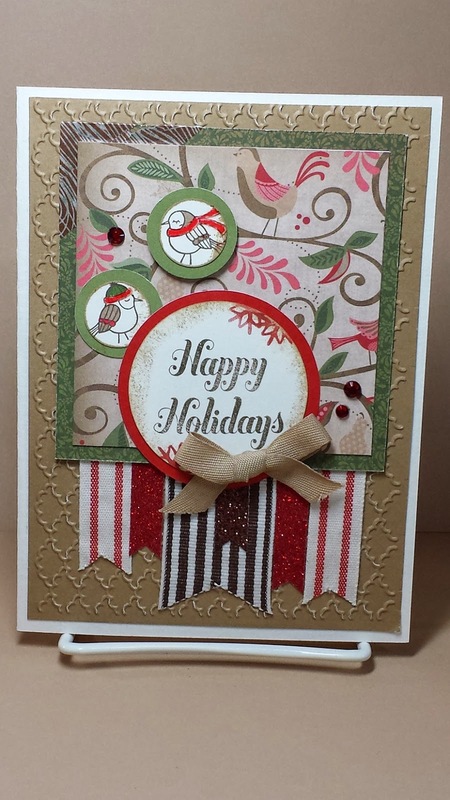 Love all the stampin' and scrappin' time the holiday brings! My wish is always that I'll get lots done while I have time off since January and February are such busy, busy months at work. It's just nice to have lots of time to play. I also hope to get some organizing done. I did a MAJOR Scrap/Stamp Office re-org last December during this time and love the results, just need a few minor tweaks. I got all the way to the "memorabilia" for my scrappin' and came to a screeching halt, LOL. But it is all in a couple big boxes so I just need to sort and segregate by date. This card is for the challenge at Tuesday Morning Sketches #281 to try something new or different. I had time to play with some new stamps and I'm not real good with monochromatic but I like the look. The card sketch is this week's sketch from Freshly Made Sketches #167. What a restful and relaxing holiday! I loved having the opportunity to have my sons home from college. They can't stay long as they all have to get back to work but it's "short and sweet". 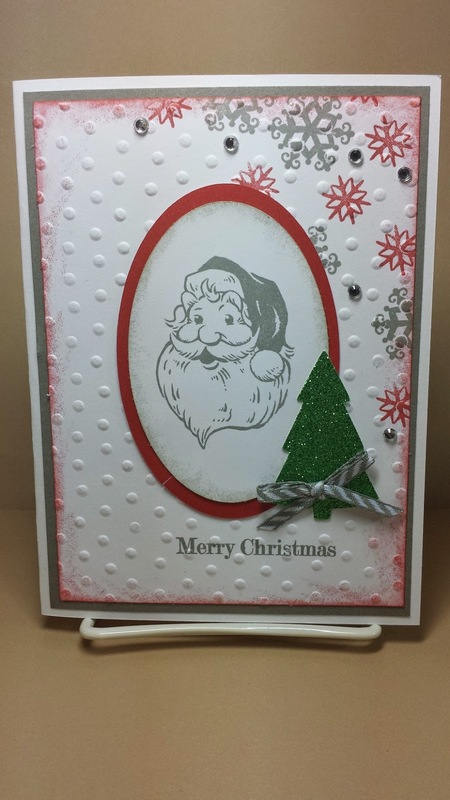 This card is from Sketch Frenzy Friday 122614. I had just a few minutes to play and wanted to use my new stamps again today. Wishing you a Peaceful Weekend! Wow ... the anti-climatic feeling of after Christmas ....I thought this stamp was perfect for that. It's so dark and gray here today it was tough to get a good picture of my card so perhaps I'll have to try again later once I get my light box set up. I had to take it down while the kids were home for the holidays, LOL. This card is this week's MOJO Monday #377. I hope you are enjoying some crafty time this week. We Wish You a Merry Christmas! We Wish You a Merry Christmas! I hope you are enjoying a Blessed Holiday with family and friends. It's a wonderful time to Celebrate the "Reason for the Season". 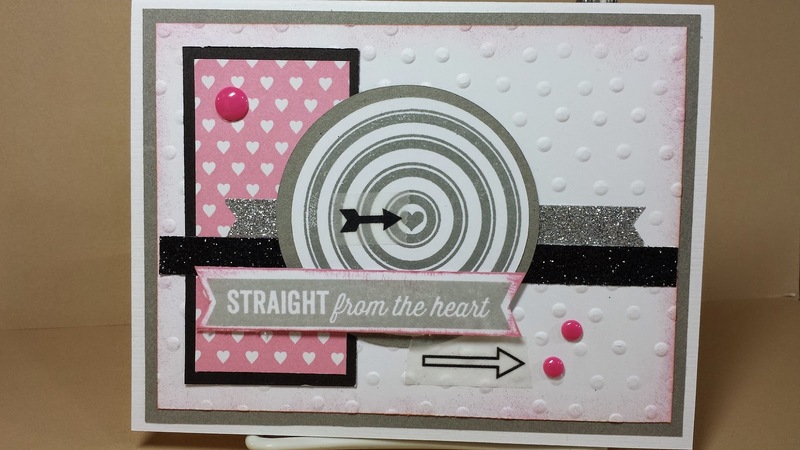 Today's Card is from CAS(E) #104 sketch and is also for Cute Card Thursday #353 "Anything Goes". It's that time again, SCRAP Time! What a fun weekend of scrappin'. I found some new challenges to play along with. Yay. The first one is inspired from My Creative Sketches December. 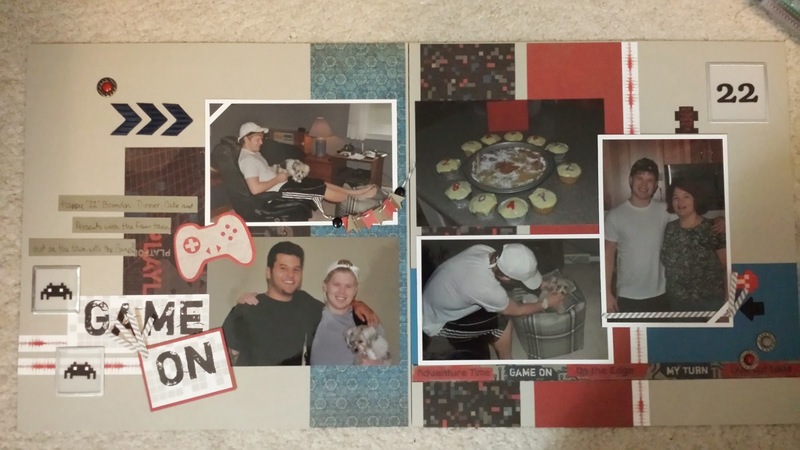 Their challenge is page 1 but I'm a 2 page scrapper so I added a second page. 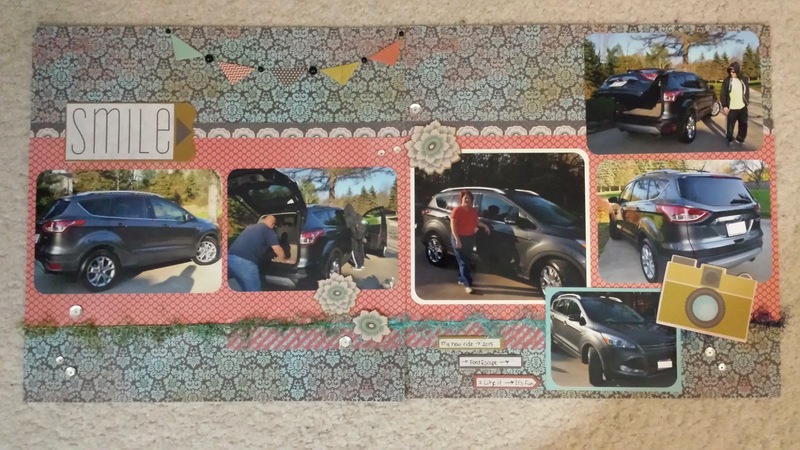 The papers and embellishments are from CTMH Game On Paper and Complements. My next pages were created for the great challenge over at Let's Get Sketchy Week 4 again page 1 is the challenge but I needed a 2nd page. I loved the background inspiration. 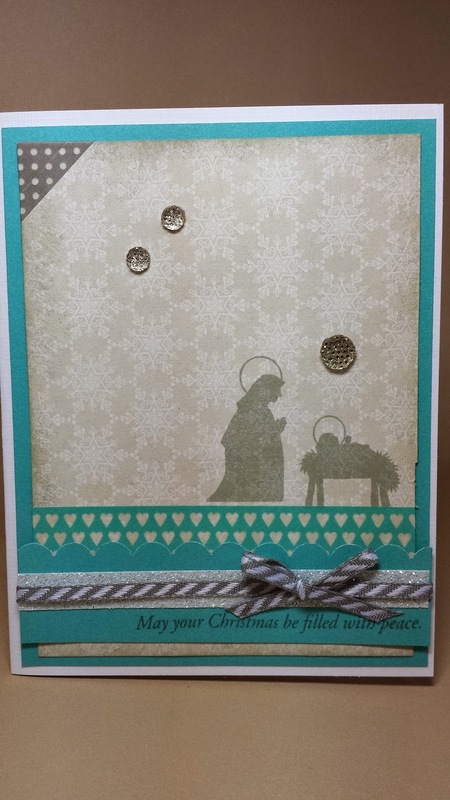 I used CTMH Olivia Paper pack. 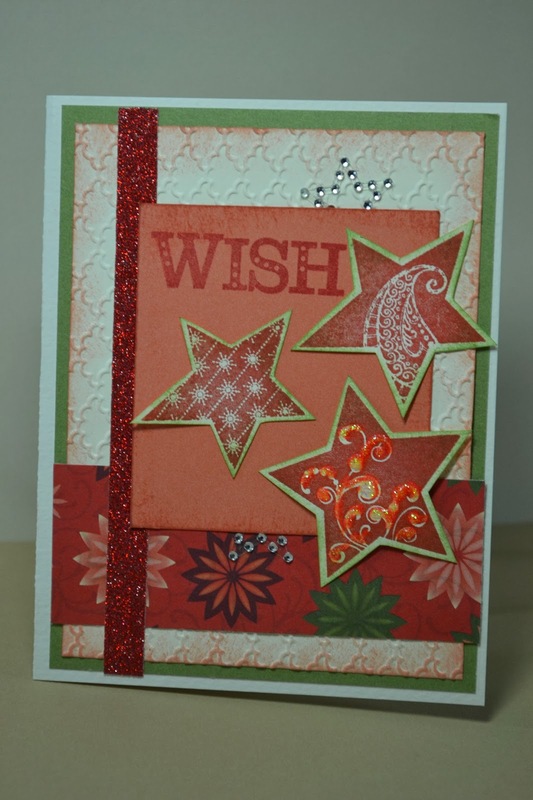 And last but not least for this week's Scrap Challenge Sharing is Sketch and Scrap Challenge #71. I needed a single page and this challenge worked perfectly for this one. The papers are CTMH Elemental, some of my favorite but the last of it here. Even during the hustle-and-bustle of the holiday, I'm enjoying some stamping and scrapping! It's one of the best parts of the season for me, time off. 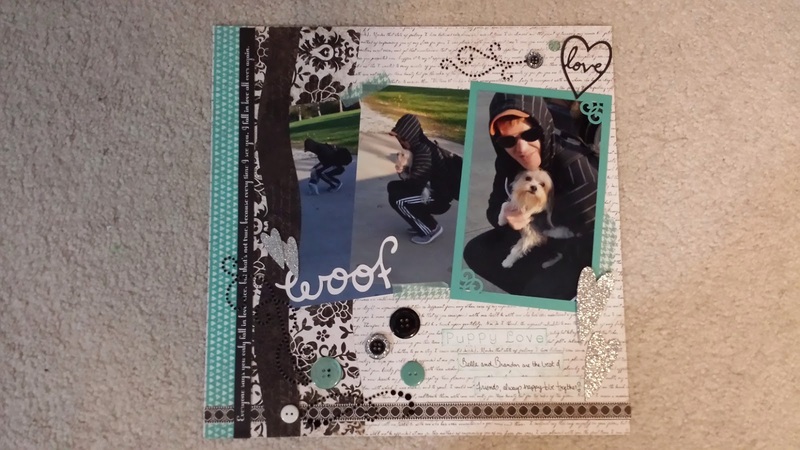 I have several more pages to put the finishing touches on but wanted to get this one uploaded for this week's Let's Scrap. 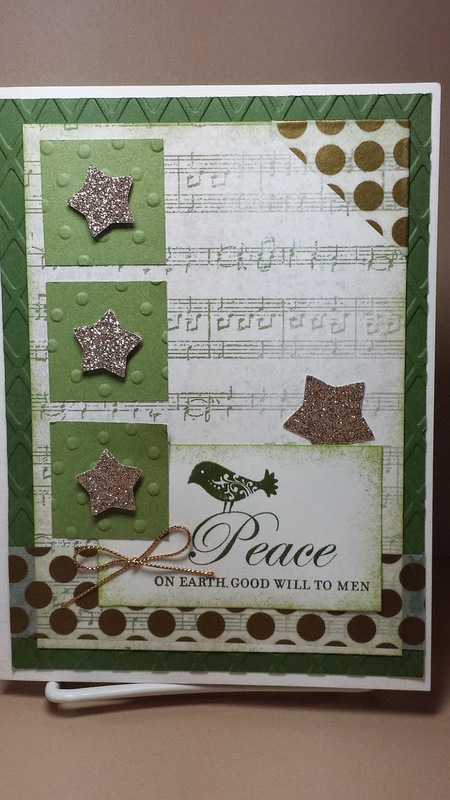 Last weekend it was VSN (Virtual Stamping Nights) over at SCS and the color challenge was Green and Gold. It went perfectly with Sweet Sunday Sketch Challenge #248. Very fun! 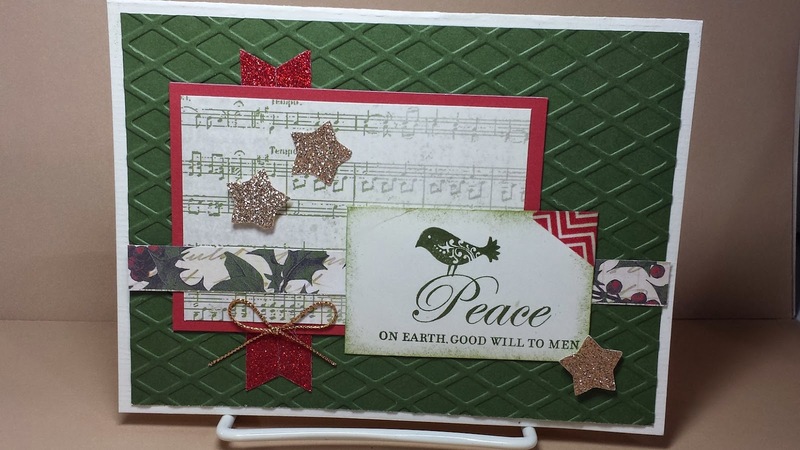 This also goes well with this week's Color My Heart Color Challenge #123 - Yuletide Carol. TGIF! Especially this week because it means I only have 1 day left to work this year! I wish I had Monday off too but it just didn't work. I love time off at the holidays. It's good too because all the family is coming in this weekend ... truly "Home for the Holidays". 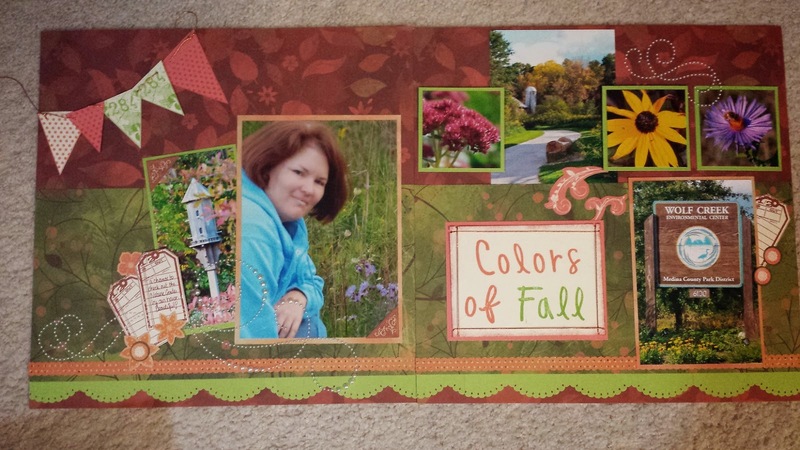 I love to celebrate Fridays with the Color My Heart Color Dare Challenge #123. 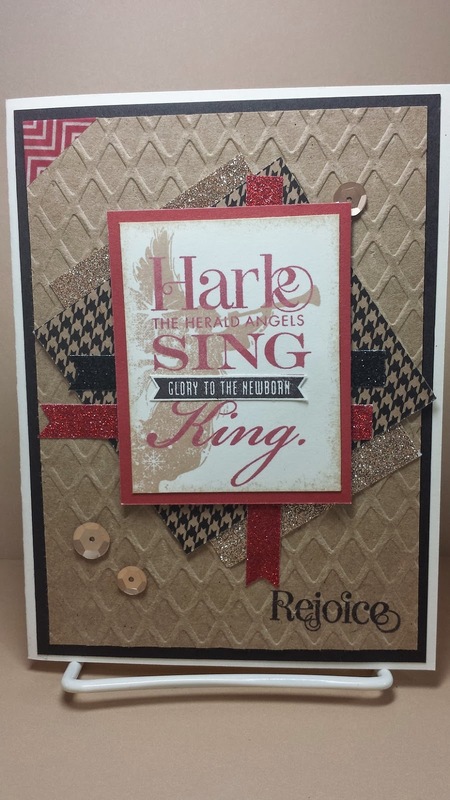 This week we're using the newest holiday paper from CTMH - Yuletide Carol. I think the music background paper is my favorite. My card is inspired from Sketch Saturday #340. 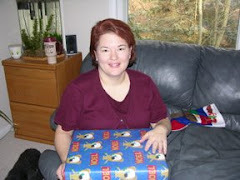 This weekend is "Wrap Weekend" as I have to get all the presents wrapped and under the tree... LOL! Thank goodness "Love Never Melts" right ... one of my favorite Christmas Carols is "Frosty the Snowman" and this sentiment made me think of that song. We haven't been making snowmen here because although it's December, it's been in the 50's. 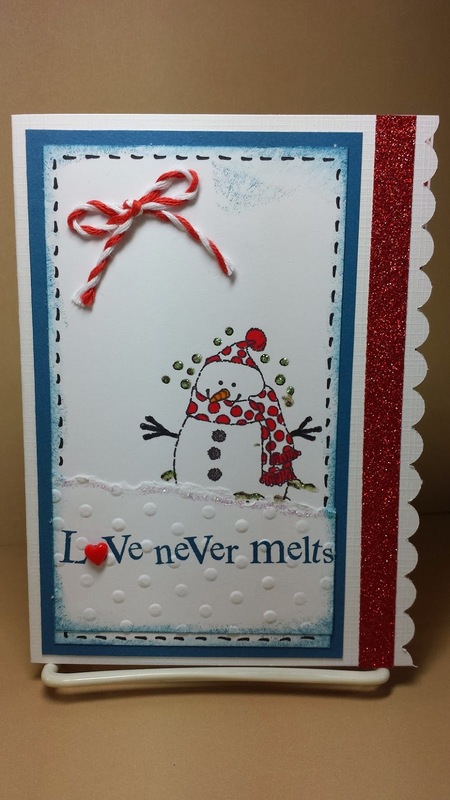 I do however like to make "snowmen" cards ... temperature doesn't matter! Yay! Ticking away to time off and holidays, it's all good! 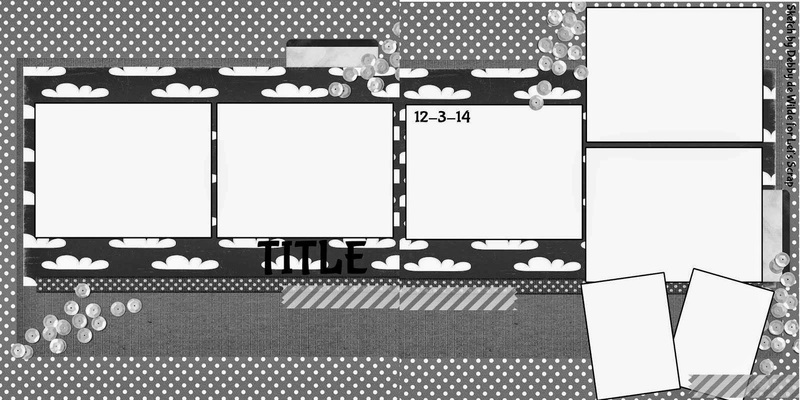 This cute card was inspired by Retro Sketch #145. I always like their fun and fresh sketch ideas. 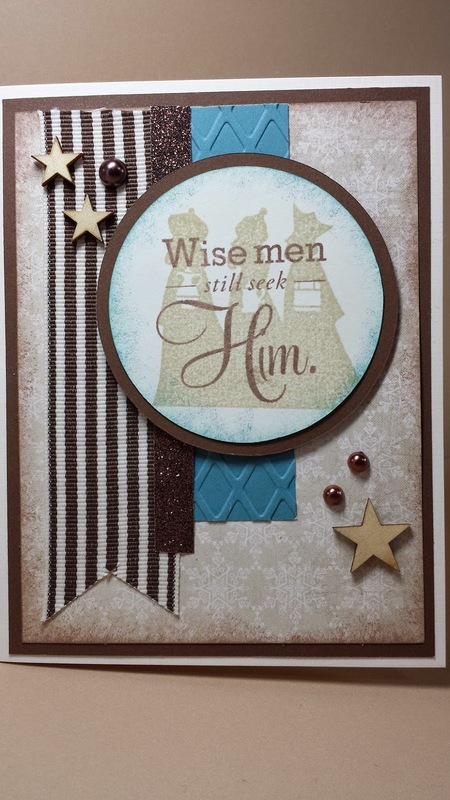 The colors were inspired by a color challenge over at SCS during VSN (Virtual Scrap Nights) worked perfectly. Today's card is inspired from CAS(E) Card Challenge #103. 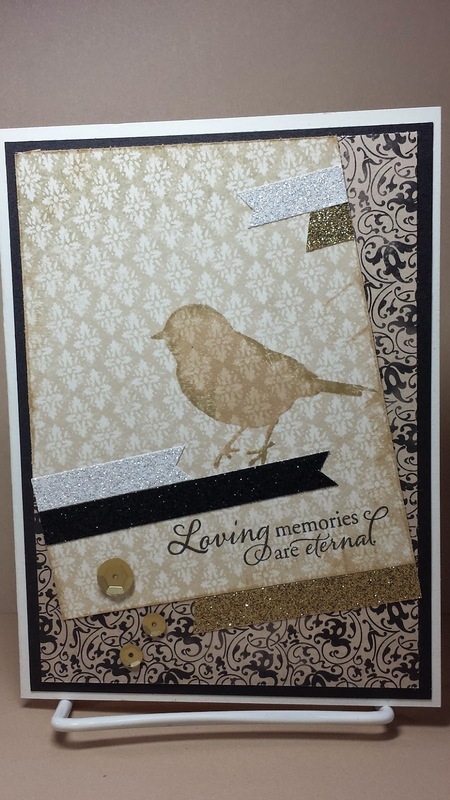 The VSN (Virtual Scrap Nights) Challenges over at SCS were this weekend and the challenge was to make a Sympathy Card with some sparkle. I actually needed one to send this week so this worked. 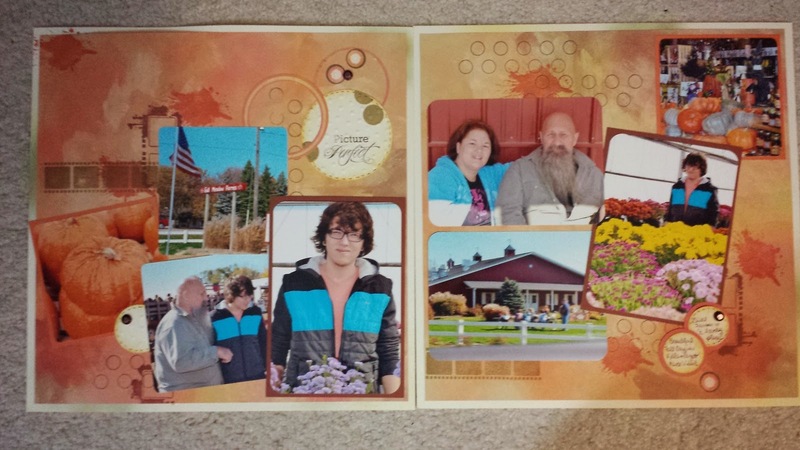 Holidays do remind us of lots of family memories, some with folks that have passed on. It's good to remember the fun we had while they were in our lives. I hope you are enjoying your countdown to Christmas! 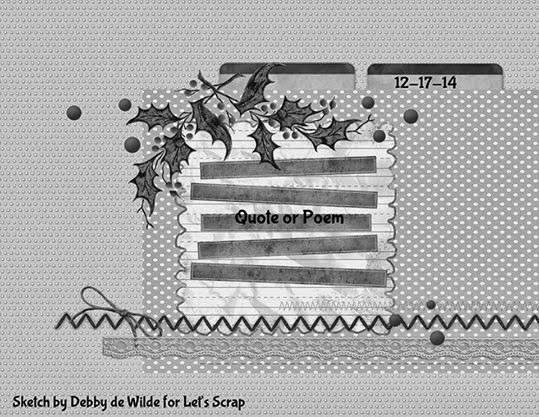 This is for the Let's Scrap Challenge 121014. For some reason, I knew as soon as I saw the sketch what pictures I wanted to scrap, I've moved them in my box several times now. Glad to have them scrapped and in my book, I had a terrific time at the visit to the Nature Center. Woohoo....10 days, 10 days....I'm actually more on countdown for my Holiday Time off at this point, LOL! Not that I don't love Christmas with my family but I truly love that it comes with lots of days off to hang out at home. This weekend it was VSN (Virtual Scrap Nights) over at SCS and the challenge was to use a stamp with "skates" or "skating". 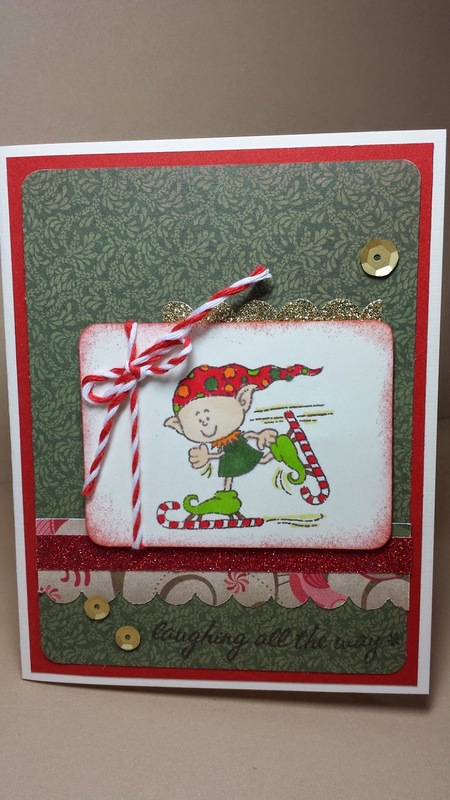 I had more choice of stamps than I realized but love this little elf on his candy cane skates, hahaha. I used Freshly Made Sketches #166 for this one. While I love the scene on this card, I'm SO HAPPY there's no snow! I have to travel this week for work and it's much easier without the white stuff! 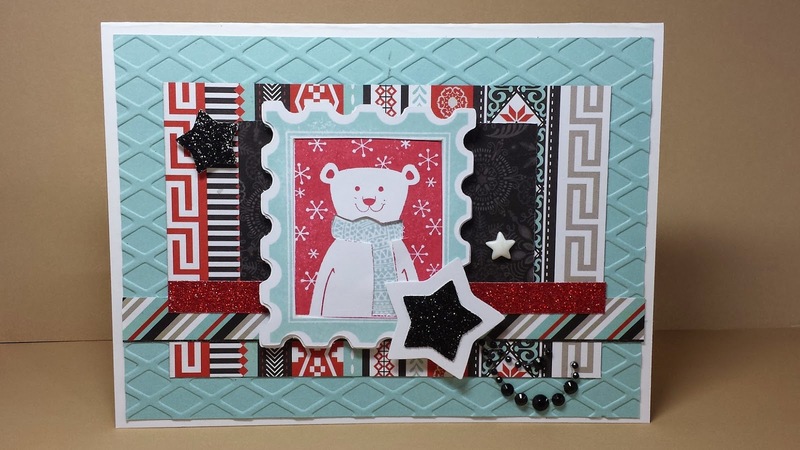 This weekend it's VSN (Virtual Scrap Nights) over at SCS and this is my card for the "Melting" challenge. I used MOJO Monday #375. I love the weekends! Always a good time to rest, relax, stamp and scrap. Throw in a few errands and to-do list items and it's a really good weekend! This was one of them, even got up the Christmas Tree. 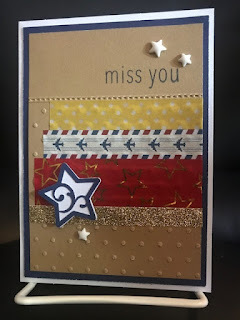 It was VSN (Virtual Stamp Nights) over at SCS so lots of inspiration from the challenges there too. Woohoo! 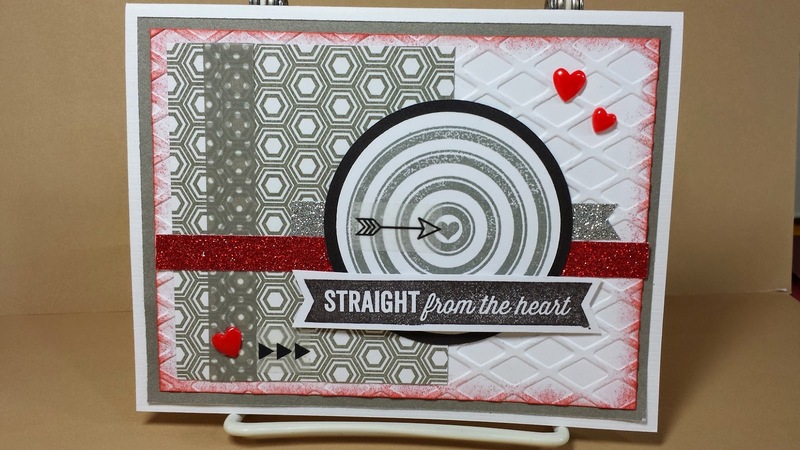 This fun card is the sketch over at Atlantic Hearts Sketch Challenge #85. Always love when it's time to get out the very cute Snow Friends stamps and this is the time of year to get out the snowmen. We cannot forget the "Reason for the Season". There are so many times we get pulled in so many directions during this time and year and forget the best part is the Celebration of Hope! We are so blessed. It's Day #13 and my daily card party is going great! It's really added a delightful break each evening to work on a card or two (depending on time) and listen to Christmas music! Love it. 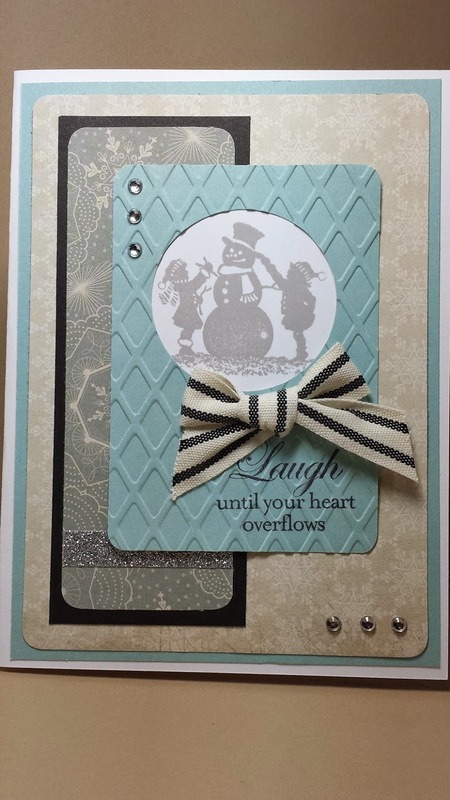 Today's card is inspired by Deconstructed Sketches #179 and H2H December Week 2 Color Challenge - Lagoon, Silver and Black. I hope you are having fun in December! This was the first CTMH Christmas Paper I ever used to make Christmas Cards. Since then, I've been using it every year. I think these are still some of my favorite pattern/color. I'm a traditional Christmas color girl at heart. 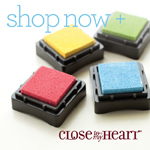 This week at Color My Heart Color Dare Challenge #122 we're playing with New England Ivy, Olive, Cranberry and Sorbet. 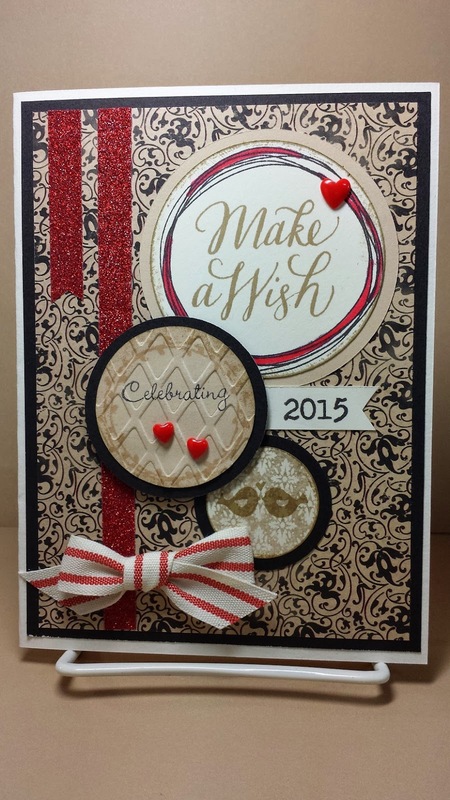 The idea for this card was from CTMH Wishes Card Idea Book, Page 114. I figured if I was going to play with older paper scraps, I'd get out the idea books too. oh, finally home from some business travel and ready to put up my Christmas tree and decorations, yay! My youngest DS and I always enjoyed putting up the decorations together and now that he's away at college, I struggle to find it enjoyable to do it by myself, but he's coming home next week and will be so disappointed if it's not done so I've got to get busy, LOL. This fun sketch is from Sketch Frenzy Friday 120514. Ho! Ho! Ho! today I'm showing off Santa ... what a Jolly Old Guy he is ...No more little ones at my house looking forward to him but I'm sure he'll still have some surprises for my very grown children, LOL! This cute sketch is from CAS(E) this Sketch #102. I'm back with another fun card for the Holidays! Happy Monday and Happy Holidays. I knew when I saw this sketch and Sketch Frenzy Friday (SFF112814) that it would be perfect for the December Card "product" Challenge at sb.com to use Ribbon. Perfect and Fun! Hope you've enjoyed the first week of December! Remember, "don't sweat the small stuff" have some holiday fun! Happy Monday! The clock is ticking ever closer to the holiday which for me is an AWESOME time of year as I'm off on vacation enjoying time with family and friends (and of course, sneaking in lots of crafting minutes). 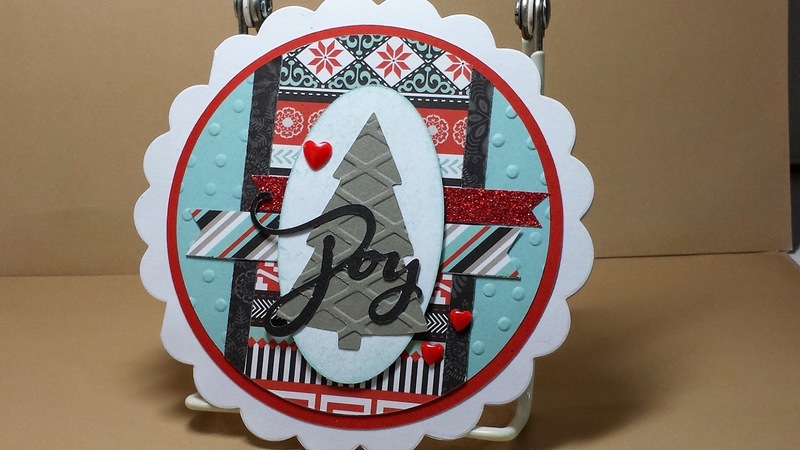 Today I wanted to branch out and use some other papers than just what was in my Christmas packs.... the color challenge over at Pals Paper Arts #230 gave me a great idea to pull out the kraft and ruby. 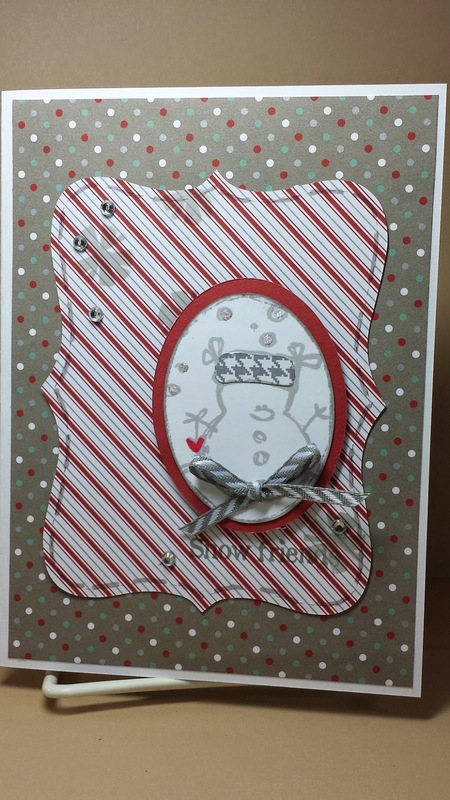 The sketch is from Sketch Saturday #339 and I used my new angels stamp for the Cute Card Thursday Challenge #350. Don't forget, take moments to enjoy the season! 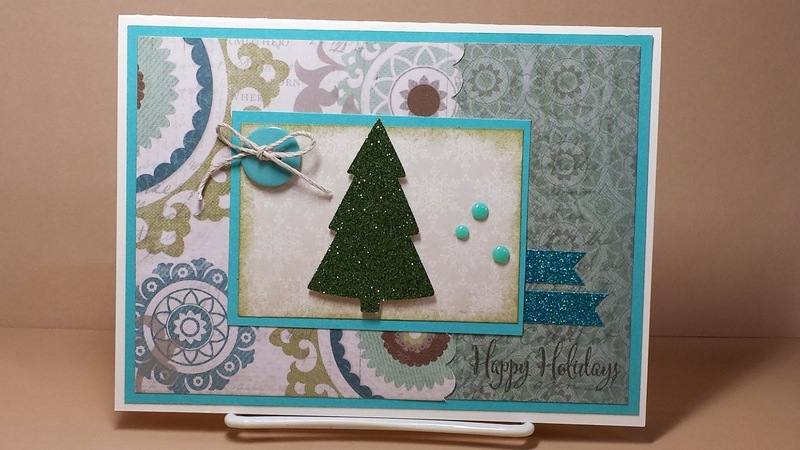 I'm still playing with my Glitter Green paper for Christmas Trees ...(IRL) so sparkly! 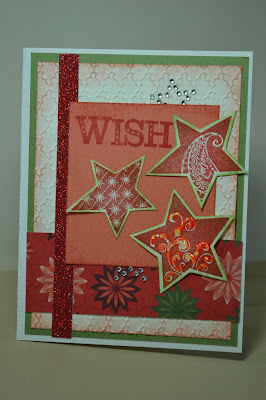 I would love if CTMH would come out with red glitter paper, so great for Valentines too ... maybe? LOL! 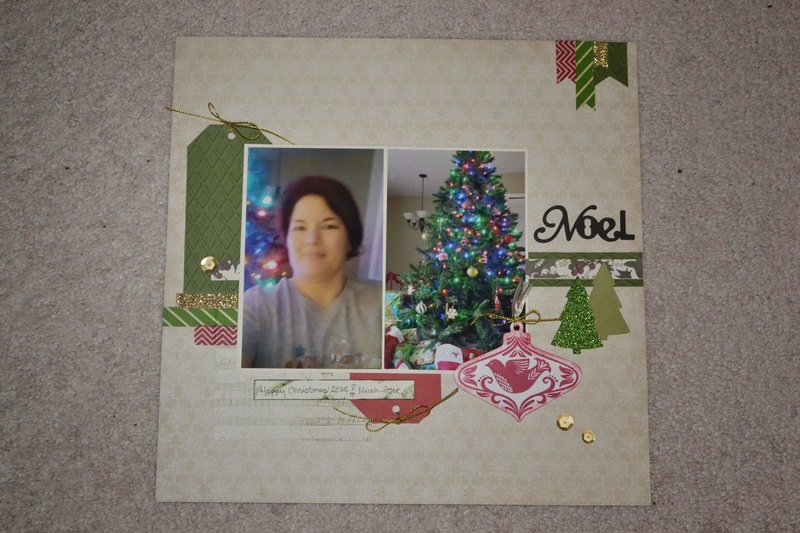 Hello Blog Friends, Today I'm celebrating Saturday and December Day #7 with this week's MOJO Monday Sketch #374. I wanted to change it up some too with the paper so I pulled out Avonlea. I like the greens ... I'll probably use this again for some holiday cards although I only have a couple sheets left as it's from 2012. 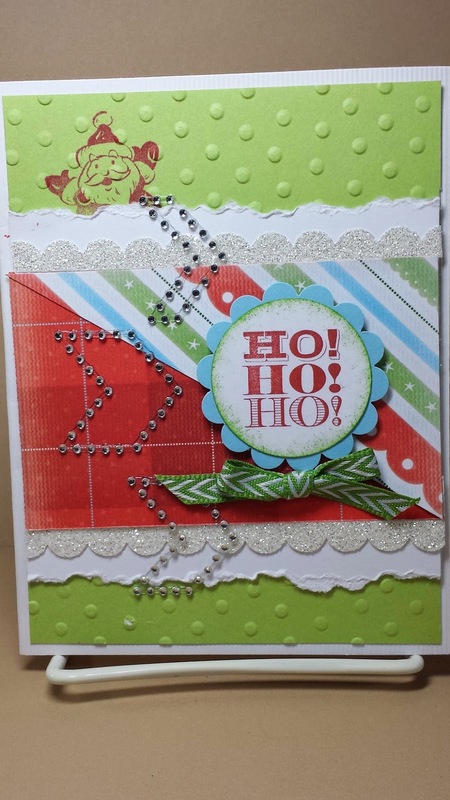 I'm lovin' the Glitter Green paper so I'm plan to cricut cut some for more cards, love the sparkle! tick...tick...tick... as we head toward Christmas and the New Year it seems like "life" gets a little crazy this time of year. It's my "wish" this year that I would remember to "not sweat the small stuff" and just enjoy the season. And with that said....it's time for our SOTM celebration of the Seasonal Expressions new Idea Book that just went live December 1. If you're hopping along with us, you just came from Chris' Blog. 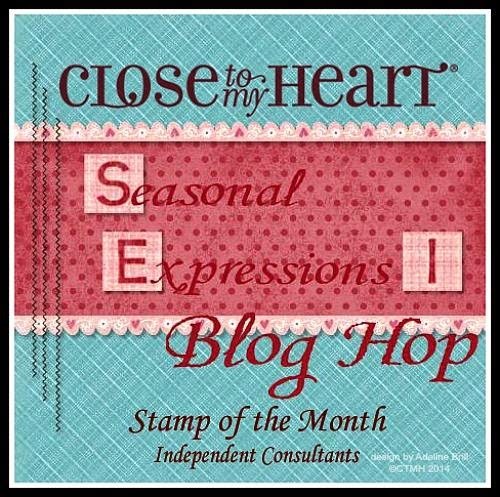 I'm sure as you hop along, like me you'll find lots of "ohhh, I'd like to have that" moments as there are lots of stamps, papers and lots of fun upcoming seasons goodies. 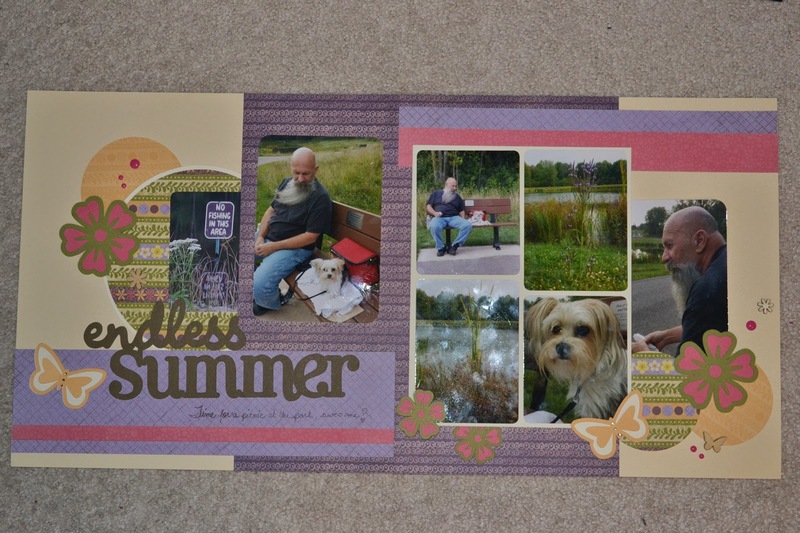 I loved everything about the Seasonal Expressions Idea Book but just ordered a couple items to get started. 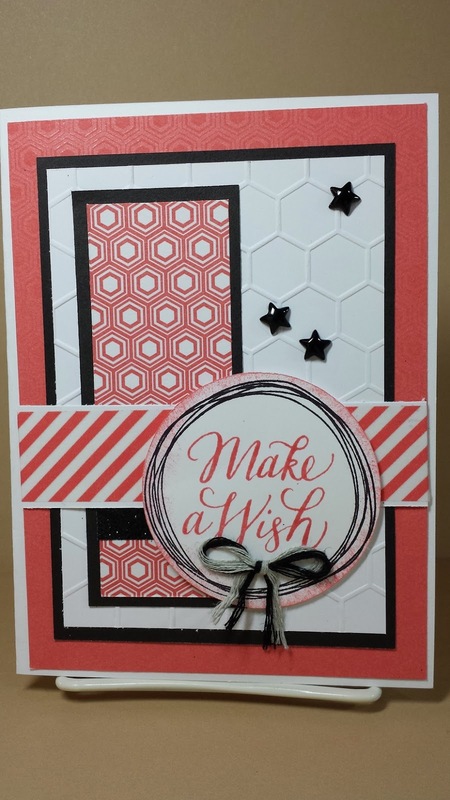 When I saw this fun "Make A Wish" stamp, I thought it would be fun for this time of year, after all, so many wishes .... and look at that CUTE new embossing design. The words and birds are from an adorable set called "I Do"
Thanks for hopping by, your next stop is Katy's Blog. If you get lost along the way, here is the full list. 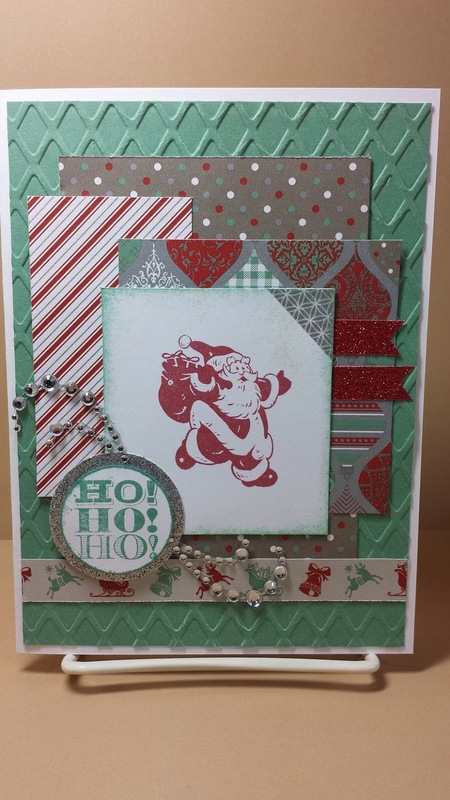 It's not snow, but it's cold and rainy which is great weather for a day indoors stamping and scrapping! 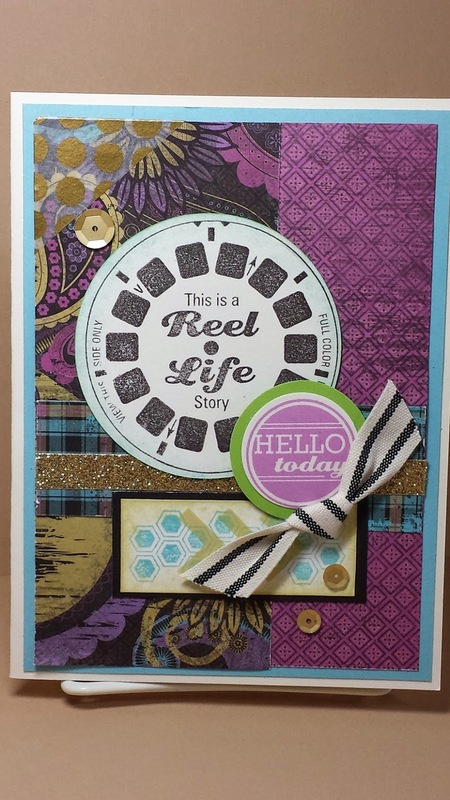 Ok, any day is a good day for stamping and scrapping but a rainy Saturday just seems perfect. I have several pages to share with you today. Hey, hey ... 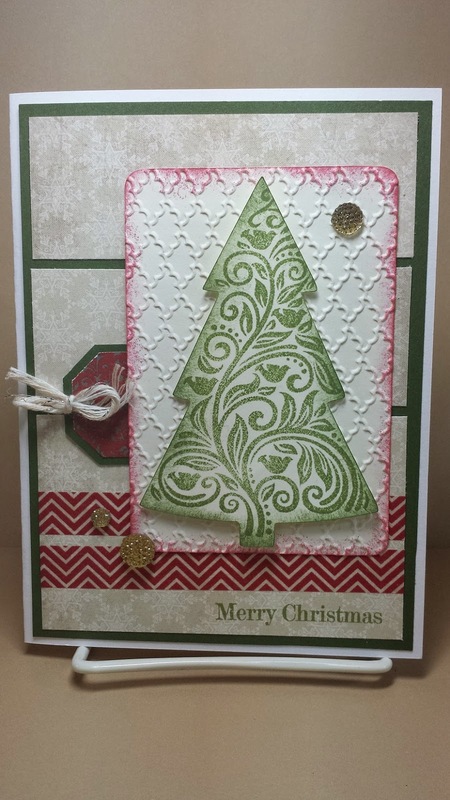 It's time for another Color My Heart Color Dare #122 and this week as the first challenge in December we're going "old school" and using CRANBERRY and NEW ENGLAND IVY. 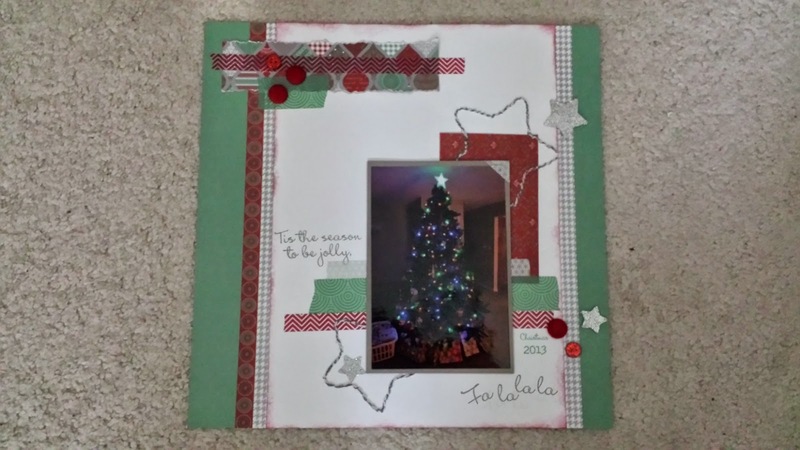 I decided for my blog in December this year I would pull out my old scraps from the different CTMH "Christmas" Paper Packs and use them again. I've really liked all of them. 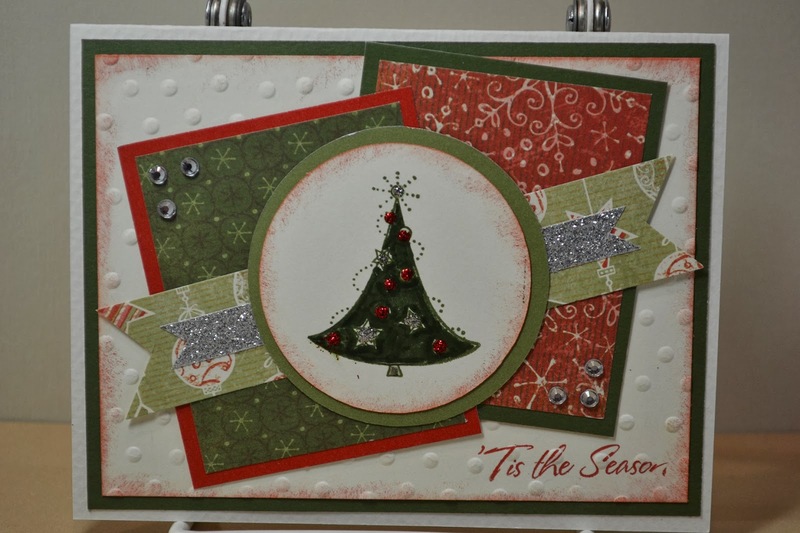 This week's challenge was the perfect time to use CTMH Mistletoe 2009. ...not the sad kind of blue, just the color blue. 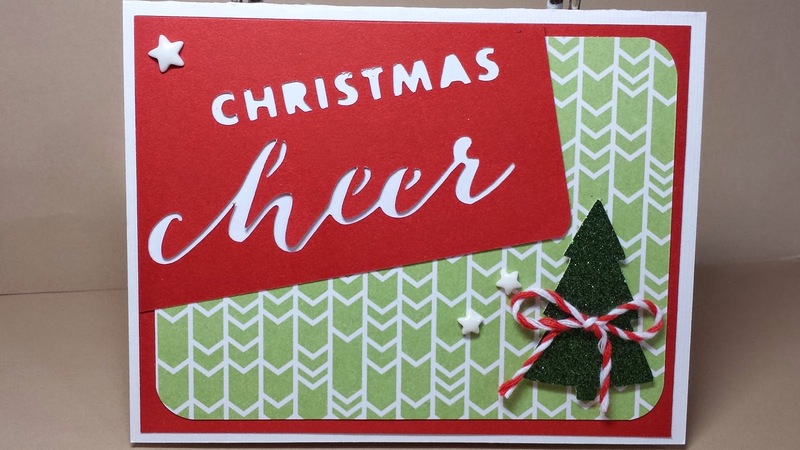 This week at Inkspirational Challenge #70, the challenge was to make a Christmas card without using the colors "red" or "green". That was fun, a nice change to mix up the papers and fun stuff I'm making for the holidays. The hard part was choosing what paper to use ... LOL. This is CTMH Laughing Lola from 2013. I used Atlantic Hearts Sketch #84. I was thinking too, "what would I do without my CTMH Cricut Cartridges, esp this time of year?" Lots of fun diecuts to choose from and these are all from the first one Art Philosophy. I haven't even started using the latest "Artfully Sent" .... good thing there is a few more days in December to create for the holidays, LOL! I'll be back. Happy Friday! Hey Santa! LOL! I can't believe I haven't inked this cute little guy yet. Tonight was the perfect night to add him to my Day #4 card holiday celebration. I played along with Sketch Saturday Challenge #338. This week the challenge was to pick any of the past sketches, I chose #295. I love layers. 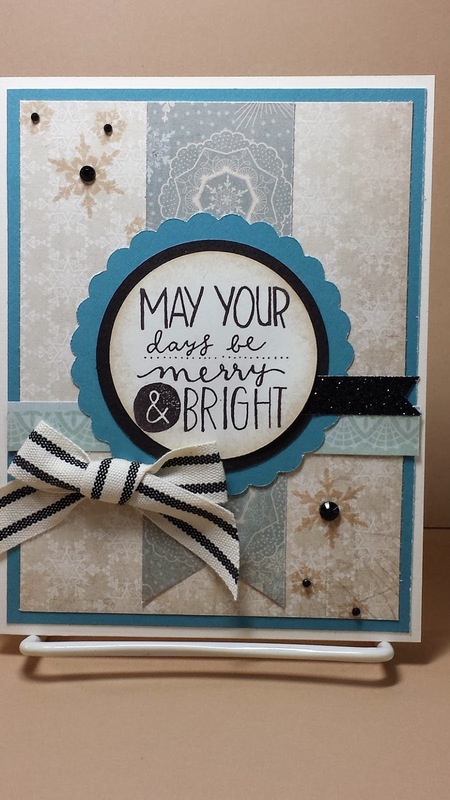 This fun paper is CTMH Sparkle and Shine from 2013. I like the ruby and juniper colors of this paper. I hope you had a fun Wednesday! Ho! Ho! Ho! 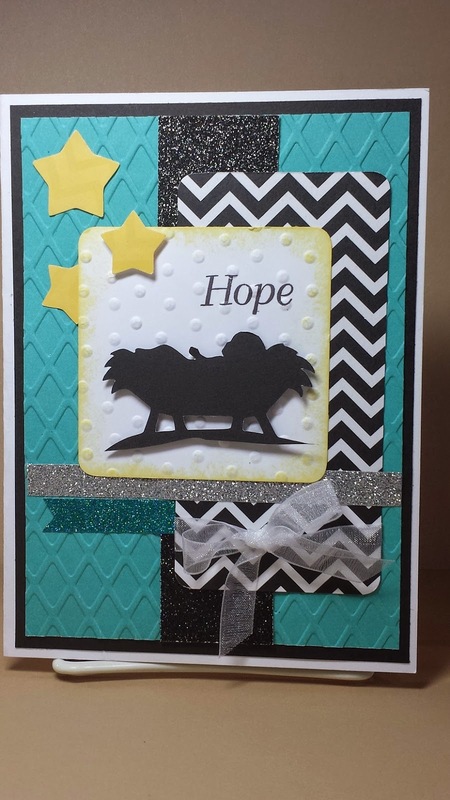 Today on Day #3, I'm sharing one of the cards I made for my BFF who is Jewish. I've made 8 cards for her, one for each day of Hanukkah. This year the celebration begins on Wednesday the 17th and I have this card planned for the 8th day. 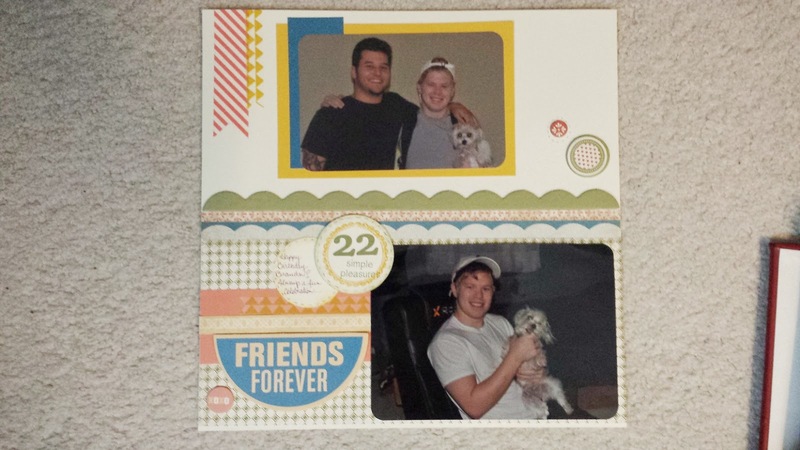 I haven't added a sentiment yet because I want to put different ones on each card and I have to get it planned. 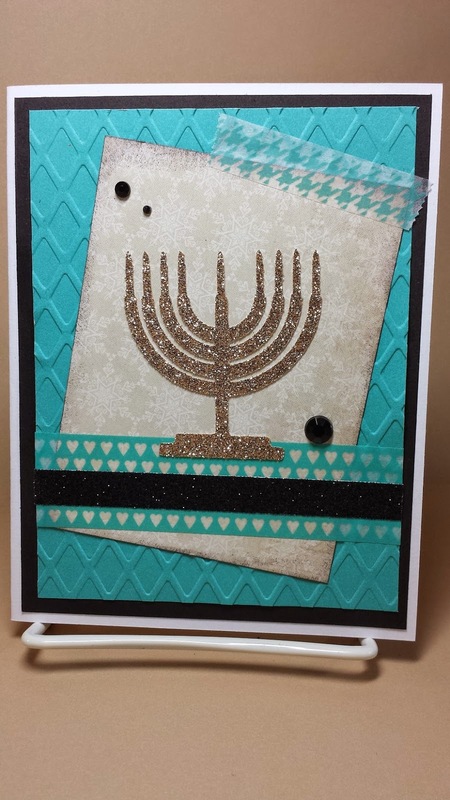 The Menorah is cut from sparkly gold paper and really looks pretty on the Frosted background. The sketch is from this week's Retro Sketches #143. I'm Back ... it's Day 2 and I have another fun creation to share with you. There is SO MUCH fun inspiration to find on some of my favorite Challenge Blogs. Today's was no different! Yup, Round and Scalloped. This adorable idea is from this week's Deconstructed Sketch #178. I loved the inspiration for something different. I also played along with this weeks Paper Players Tic - Tac- Toe Challenge #224. 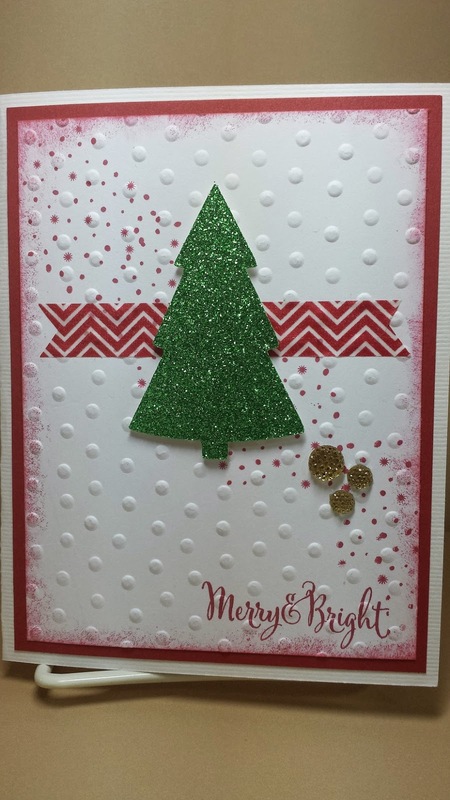 I used the Diagonal Squares - Tree, Embossing and Glitter. I read a brief article recently that talked about all the stresses the holiday can bring. The article explained about missing the "reason for the season" when we let the details overwhelm us. I very much agree and hope that I can just ENJOY the FUN on the way to the upcoming holidays. I decided I'm going to make a card for each day of December because hopefully it will be a good reminder to be happy each day and even if nothing else goes right, stamping and scrapping make me smile, so here goes! 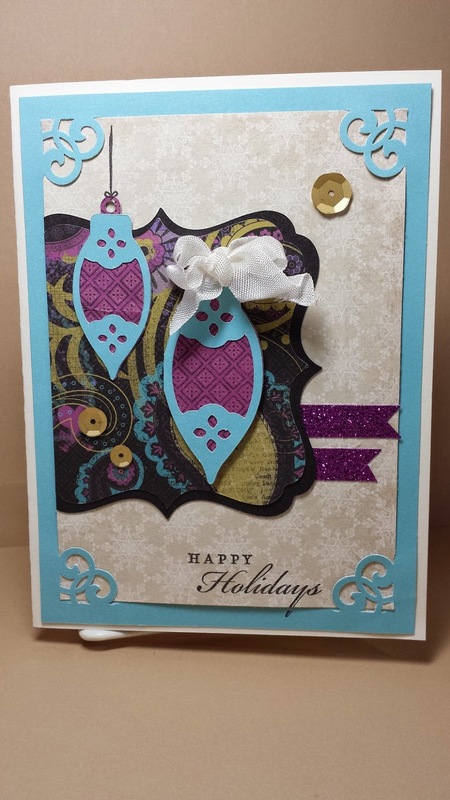 My first card is Inspired by Viva La Verve November Week #4 Sketch. "May Your days be merry and Bright! Still using up holiday paper from my Stash. This one is Frosted from 2013.